Ceremonies in Spain can take a variety of forms. Please read below to see a break down of the different ceremonies in Spain that I can offer. A wedding ceremony on the day of your choice, at the time of choice and at the venue of your choice. Meaningful and personalised to include your own vows, readings, songs, music – whatever you would like to celebrate your love for each other and your new union. View some beautiful photos of my wedding ceremonies in Spain or contact me for my wedding information brochure. You can also read my award-winning wedding blog which is full of tips, trends and ideas for creating your perfect wedding ceremony. Go here to read Engaged and Ready. 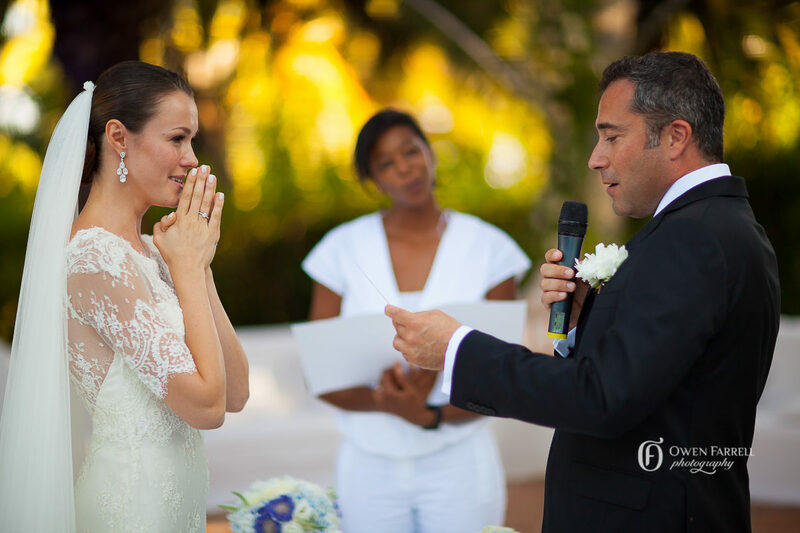 A vow renewal ceremony is the perfect way to celebrate or reconfirm your commitment to your loved one. Whether it is to mark a wedding anniversary, or to celebrate an existing union, weddings vows can be performed as intimately or publicly as you wish. View some lovely photos of my vow renewal ceremonies in Spain and click here for more information about vow renewal ceremonies or contact me for a copy of my vow renewal information brochure. For couples that are unable to enter into a legal marriage, for varying reasons, a commitment ceremony may be the answer. Whether by yourselves, or in front of your family and friends, you can declare the commitment between you and your partner and make vows and wishes for the future. As personal as I can make your ceremony, I also understand that some couples prefer to have a friend or family member officiate their ceremony for them. If this is the case, I am more than happy to use my expertise and wealth of experience to help you shape and structure your ceremony and to provide you with a bespoke script that can be used by yourselves for your special day. This service applies to weddings, commitment ceremonies, vow renewals and baby naming ceremonies. A naming ceremony is a beautiful and unique way of welcoming a new child to the family. It is also a way of reaffirming your love and respect of an older child and giving them a special welcome to the family. Parents, grandparents and guide parents can state their promises and give their hopes and wishes for the child’s future. Contact me for more information about these ceremonies.